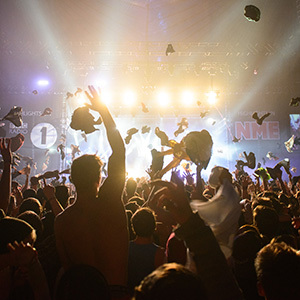 As promised, instead of lumping our Leeds and Reading Festival guides into one, like everyone else, our PAAM Volunteer Software blog endeavours to give you some useful tips on camping, getting there and away, food and drink and the quality of the loos at Leeds Festival, coming to Bramham Park over the 22nd to 24th August. Yeah, we know you're sick of hearing it, but 'Go green' is the message for anyone travelling to a festival this summer. 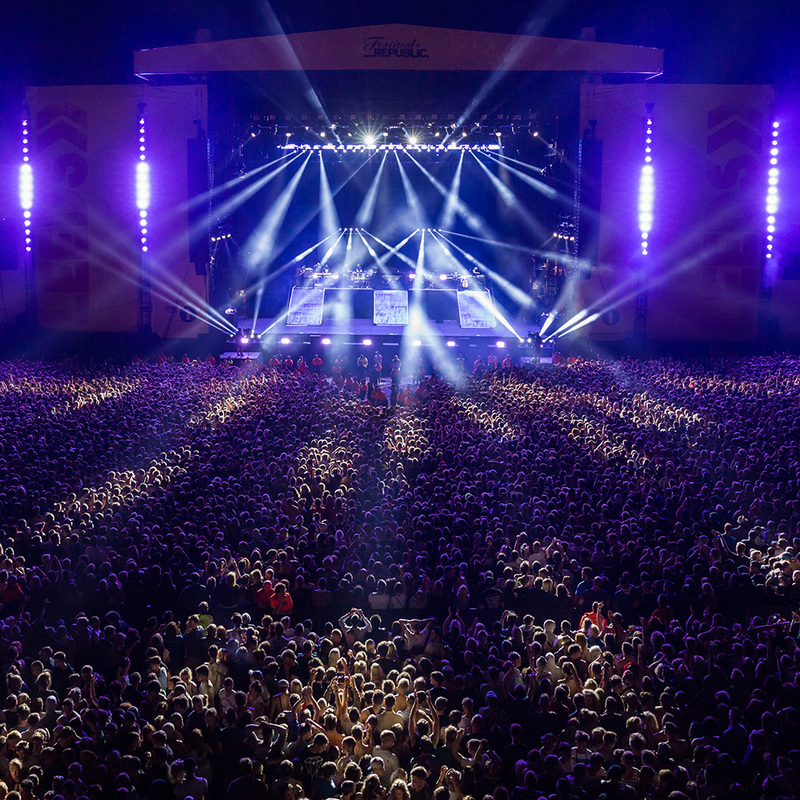 The Leeds organisers have once again partnered up with National Express to ensure that festival goers coming from all over the UK can get from door to door cheaply, safely, comfortably and with a limited impact on the environment. Another option is of course the trusty train, and there will be plenty of shuttle buses running to and from Leeds City Railway Station and Leeds Coach Station. Those who just can't leave the car at home but want to reduce their carbon emissions might like to consider getting involved with the BlaBlaCar sharing scheme. Filling the car up with people helps the environment, cuts down on congestion, significantly reduces the cost of travel and increases the chance of fun! Motorists are advised to travel at off-peak times, be prepared for the inevitable delays and have a sensible strategy for driving home. Late nights and drinking will take their toll, and it goes without saying nobody should get behind the wheel if they are tired or intoxicated. Although parking is separate from the camping areas, all campsites can be easily accessed from all car parks at the Leeds festival site. There are seven camp sites at Leeds, each identified by a different colour. It's a good idea to colour coordinate with friends before arriving so you all get directed to the same place. Leeds' campsites are busy, noisy places in general, but anyone looking for a slightly quieter spot to pitch their tent is advised to get directions to the Brown camp site. There is also a campervan area open to all weekend ticket holders, and a disabled campervan area close to the disabled camp site. Anyone intending to arrive in a campervan will need to apply for a permit ahead of the festival, and all occupants will need to be able to produce a valid ticket for the weekend. There is no sleeping in any of the car parks, and campervans will not be allowed onto the camping areas - so don't bother trying! The CAT volunteers are a group of lovely volunteers, organised by Hotbox Events and PAAM! The volunteers are dedicated to making your festival experience just magical. Easily identified by their bright turquoise tabards, these little life savers are on permanent patrol to help out with everything from directions, to performance times, issues with the facilities and noisy neighbours, and will even lend a hand with putting up that pesky tent. CAT volunteers can also be found near the fire towers in case of an emergency. Don't fancy dragging a tent all the way to Leeds and then swearing at it as it refuses to cooperate with your faultless tent-erecting skills? Why not book a spot in the Pink Moon Camping Oasis. Pre-erected Podpads, tipis and tents take the hassle out of all that flysheet and pole nonsense. The Podpads come in a variety of quirky, brightly coloured designs and add a tad of extra class to the Leeds experience, as if one was needed. The Pink Moon site provides 24-hour security and maintained hot male and female showers. Yes, only hot males are allowed in the former. Toilet blocks are located around the campsites and in the main Arena. It is comforting to know that all toilets at Leeds are non-flammable and are constantly monitored for sanitation issues. All also have hand washing facilities. Such civilisation! The showers are located in the Village. As with any music festival, there are likely to be busy periods when visitors should expect to queue for their ablutions. Food stalls will be dishing up delicious fare throughout the arena and the campsites. A complete list of the food traders and their fixed prices will be published on the Leeds festival website. The prices are strictly set, and visitors are encouraged to flag up those flouting the rules to officials. The festival supermarket will provide daily essentials including snacks, sausages, bacon, eggs, cigarettes, toiletries, beer, cider and general groceries. It also provides cashback for those paying with cards (for a transaction fee, of course). There are several bars onsite, all of which take cash only. Visitors need to be aware that there will be strict ID checks on anyone who appears under 21. Drinking water points are located throughout the Arena and the campsites. They are constantly monitored and tested for purity. Visitors are however reminded that these are drinking water points, not hair washing, clothes washing or dishwashing points! Be extra careful with flames. Small campfires are permitted but need to be monitored closely and lit away from tents. Pack a good torch and leave the candles at home. Candles and tents don't get on with each other...or rather, they get on with each other a little too well. Fire marshals are identifiable by their red tabards and will be on constant look out for inappropriately large conflagrations, which will be extinguished immediately and without a smile. Portable barbecues are fantastic for cooking up sausages or chicken wings, but can be deadly when used in an enclosed space because of the carbon monoxide gas they produce. Do all cooking under the sky, not your porch, please. This may sound obvious, but check you have your ticket with you before leaving home. Leeds runs a strict Challenge 21 policy. This means that anyone who looks younger than 21 will have to produce recognised ID to prove they are over 18 before they are allowed to buy cigarettes or alcohol. Over 18s wristbands can be picked up at the Over 18s tent. And talking of wristbands, make sure you treat yours with respect. If it is lost, there is the distinct possibility of an early bus home. Contact a festival official as soon as you realise yours is damaged or gone. It goes without saying that music festivals get crowded. Neighbours are just a few feet and a thin layer of canvas away, so be as considerate as possible. 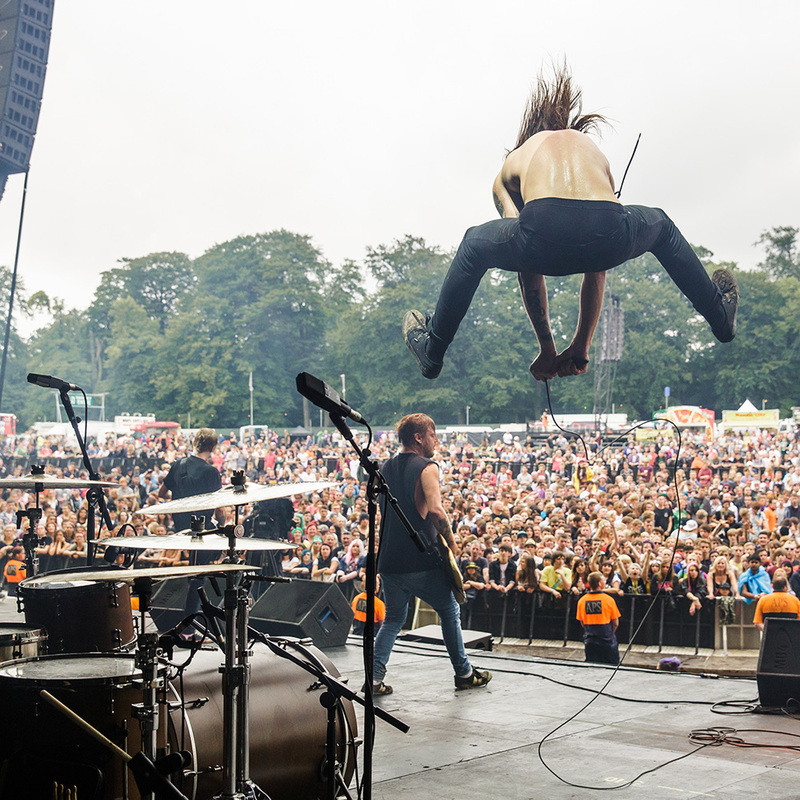 Leave the music speakers at home - there are plenty of live bands a short stroll away. 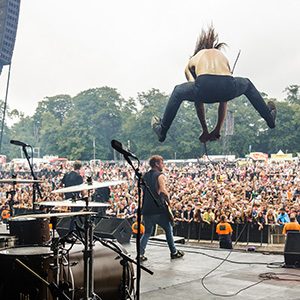 Leeds promises to be as fantastic as ever this year, so just a little bit of common sense is worth employing to make sure that your experience goes as planned. Don't bring anything to the festival that you cannot afford to return home without, and leave at home anything that is even vaguely questionable. Illegal drugs are still illegal, weapons will not be tolerated and anything that explodes (with the exception of party poppers) will be confiscated. Leeds also has a no glass policy, and officials will not allow excessive amounts of alcohol through the gates. What the organisers do want you to bring is energy, enthusiasm and the sun, if possible! 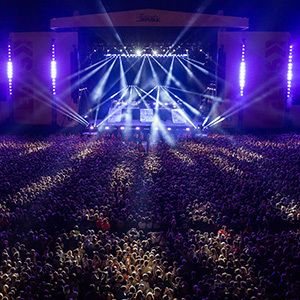 Have an amazing Leeds Festival! See you there!